It is safe to say that Deep Learning is everywhere and is widely applicable in a range of industries with datasets. And if one wants to master artificial intelligence and deep learning, there are plenty of materials and training options available online in the form of tutorials, MOOCs and even short-term courses. According to our annual Data Science Jobs Study, the demand for Python professionals is the highest among all analytics recruiters. Almost 39% of all advertised analytics jobs in India demand for Python as a core skill. However, the key challenge is to know when to start and have the time to research and chalk out of a study plan. That’s why specialist trainers can help in providing cutting-edge technical training which can help one in gaining essential skills to break into the buzzing field of AI and Deep Learning. 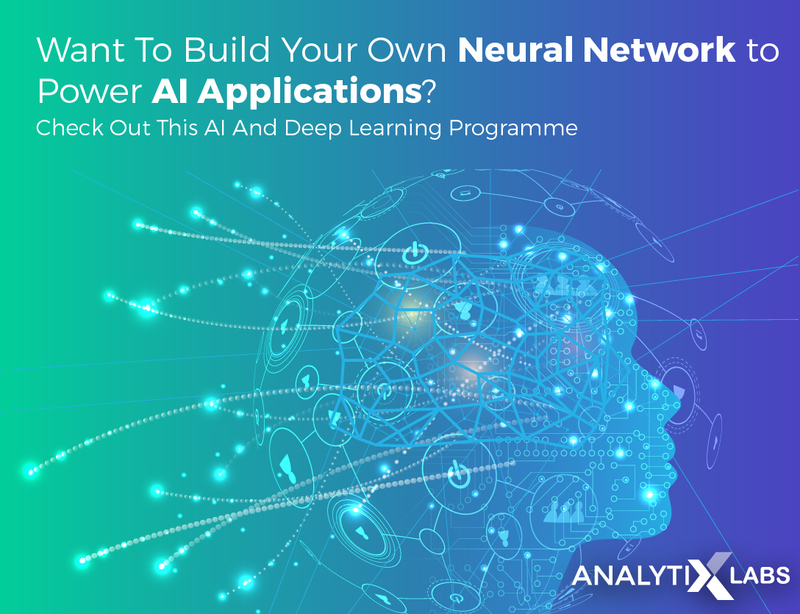 AI Deep Learning with Python from AnalytixLabs offers in-depth, hands-on training in Deep Learning for programmers using TensorFlow and Keras framework and the course is intended to meet needs for engineers or computer programmers who are looking for a solid introduction to the subject of deep learning backed by practical, hands-on training to enable them to start implementing their own deep learning systems. “Our industry has recently witnessed accelerated growth of AI Deep Learning applications across the board. This specialization course is designed to help our clients and students meet their upskilling needs in short span of time effectively. 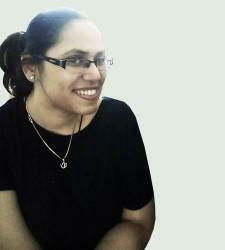 It offers great degree of flexibility to both experienced candidates and beginners based on their learning objective. Participants who are already working in the field of Data Science can just opt this single module which is succinctly focused on AI Deep Learning, while beginners can opt for Machine & AI Deep Learning specialization certificate program which encompasses basics of Data science and python foundation along with hands-on knowledge of Machine Learning & Deep Learning,” shared Sumeet Bansal, CEO & Co-founder of AnalytixLabs. This specialized course aims to bridge the gap and help build a solid foundation in the underlying areas. It will also impart intuitive understanding and helps learners understand its use in the context of machine learning and data science. For example, the course will help aspiring professionals get started with deep learning-based AI projects using Tensor Flow and Keras. Learners will get an overview of important python packages for Deep Learning and will work on a range of case studies on computer vision, text data processing, image processing, speech analytics – Speech to text/Voice tonality, IoT. The course covers a range of areas under Deep Learning architecture and understands when to use CNN, RNN and application of Restricted Boltzmann Machine. The 60-hour course also covers a range of case studies so that you can learners can see how deep learning can be used on anything. Throughout the course, instructors will take you through projects on Text Data Processing, Image Processing, Speech Analytics and Computer Vision. The course is intended for analytics professionals who have prior working knowledge of Data Science with Python and want to level up with a Deep Learning certification and at the same time gain practical application of AI Deep Learning with TensorFlow and Keras. Learners who don’t have prior knowledge of data science with Python can level-up by opting for this course as dual learning track, in which they will first go through ‘Data Science using Python’ module, which includes Statistical Analysis Machine learning with Python. Being familiar with Python or at least one object-oriented programming language has been billed as one of the main requisites for the course. Hence, learners need to be competent with Python as Data Science language. That’s how dual specialization course of Data Science with Python & AI Deep Learning with Python from AnalytixLabs helps brings candidates up-to-speed. Learners who join the course can gain will gain a full understanding of data handling, visualisation, statistical modelling, machine learning & AI deep learning effectively with practical examples and case studies on Python platform. With classes in Bengaluru and Gurugram, this instructor-led course offers complete flexibility of attending data science course in classroom, online and through self-paced video also.